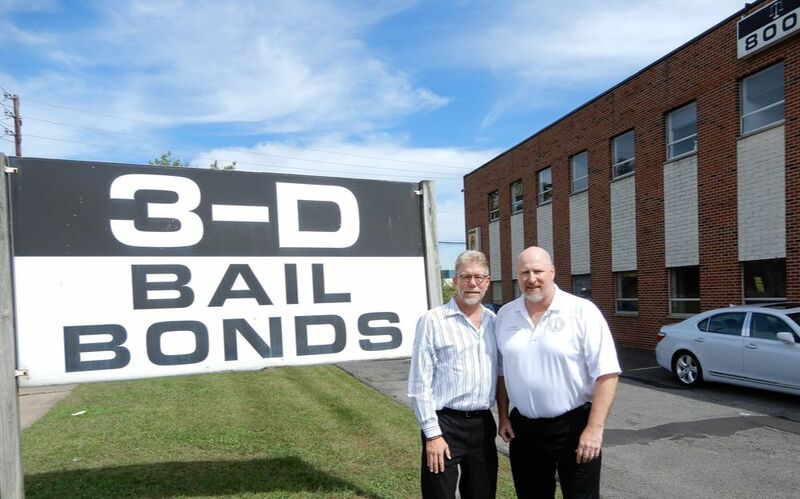 Local Hartford Bail Bondsmen Dan and Drew in front of 3-D Bail Bonds in Hartford CT.
​Bail bondsmen are capable of far more than simply writing checks for clients who can’t post their own bail. 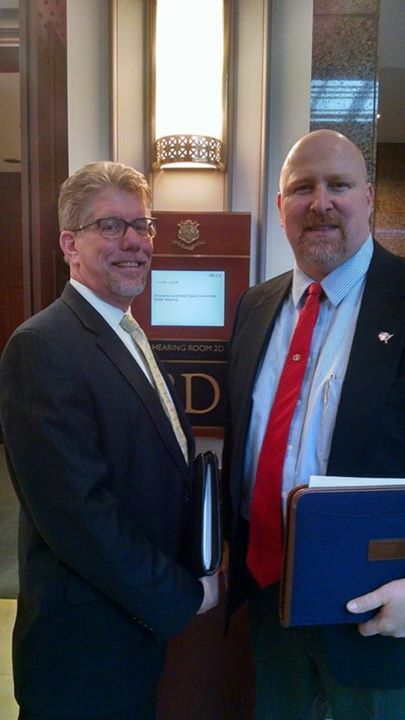 They are experienced practitioners who are more valuable to defendants and their families than many realize. They are a great source of information Many have a working knowledge of the American criminal system and go out of their way to provide information that helps their clients navigate it. An experienced bondsman can help clients understand sometimes the complex legal process which surround bail and provide information as to what to do and when. They help reduce hassle & stress In such a difficult, stressful time it is helpful to have experience to hand. Bail bondsmen are very familiar with the bail process; they can help in filling paperwork, ensuring everything is accurate and reducing any cause for delay. Even help for things which may seem trivial can help to release some of the burden on defendants and their families. Some bondsmen even go beyond form filling and will offer rides for defendants to court hearings. They are support for friends & family Very often it is family and friends who take the responsibility of handling the bail process. After an arrest, friends and family will be stressed and want information so that they can help. A bail bondsman is an experienced person who can help provide this. When deciding to use a bail bondsman the relationship does not end the moment the defendant is released from jail either. It ends when the court hears the defendant’s case through to the end. The bail bondsman will act as surety agent on the client’s behalf throughout the process, it is in their interest to ensure defendants turn up to court and many friends and family will be grateful for this. They help to maintain privacy With bail bond companies furnishing the bond amount, your own finances not only remain secure, they are also subject to less scrutiny. A hefty bail amount is difficult to arrange at short notice, and even when you can, you may be required to provide pay stubs, bank details, and other information to satisfy the courts that the money for bail has been earned legally. Bondsmen are skilled and trained professionals. They must usually take exams as well as have background checks before being qualified to operate. Many of them have extensive financial and criminal law knowledge and often use to great benefit for their clients. Going off to college is an exciting transition, but it’s also your introduction to the adult world. For instance, many college students aren’t sure what their rights are when interacting with the police, which can land you in serious trouble with long-term consequences. If you’re arrested, a bail bondsman can help secure your release, but knowing your rights can help you avoid problems in the first place. Young people are often scared when being interrogated by the police, which makes them especially vulnerable to coercion and manipulation. Law enforcement officers may get young people to confess to crimes they didn’t commit out of fear. Any time the police stop you, ask if you’re free to go. If they say no, invoke your right to an attorney and refuse to answer more questions until they arrive. Dorm rooms may not seem very private, but you have the same Constitutional rights as anyone living in their own apartment. Unless they have a warrant or are actively pursuing a suspect, police don’t have the right to enter or search your dorm without your consent. There’s usually no upside to allowing a search, so feel free to refuse if the police ask. However, your school may have their own penalties for refusing to cooperate with a search, so read up on their policies to avoid unintended consequences. Being arrested is usually terrifying, especially if you’ve never dealt with the justice system before. You may not know what to do, or how long you’ll have to be in jail. Fortunately, a bail bondsman can usually secure your release as soon as an amount is set, allowing you to wait for the resolution of your case at home. At 3-D Bail Bonds, we provide fast, friendly 24-hour service to clients throughout Connecticut. Our bail bondsmen know how frightening it can be to have a loved one detained, so we’ll do anything possible to get them out as soon as possible. Visit our website now to find your nearest location, follow us on Facebook for more insight and tips, or call (860) 247-2245 24 hours a day to speak to a bail bondsman.